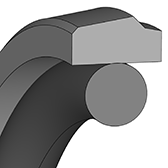 The KPOR seals consist of a PTFE sealing element which is energised by an o-ring. This results in an exceptionally good sealing function under high loads and good static sealing performance. 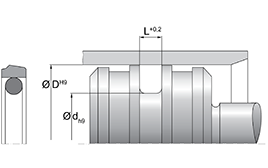 The KPOR 31 is a single-acting piston seal.